How best do you help a resilient economy emerge in a region that has one foot in ancient ways and traditions – its other in the world of global universities and nuclear power? North West Wales has the ingredients to be one of Europe’s most resilient regions. Its valuable assets include a lot of relatively undamaged land; clean air and biodiversity; abundant water; sea; low population density; and a deeply-rooted language and culture, supported by dense social networks – “a bit like the roots of a leek” as Dr Einir Young put it to me – in which land, mind and spirit continue, powerfully, to resonate. 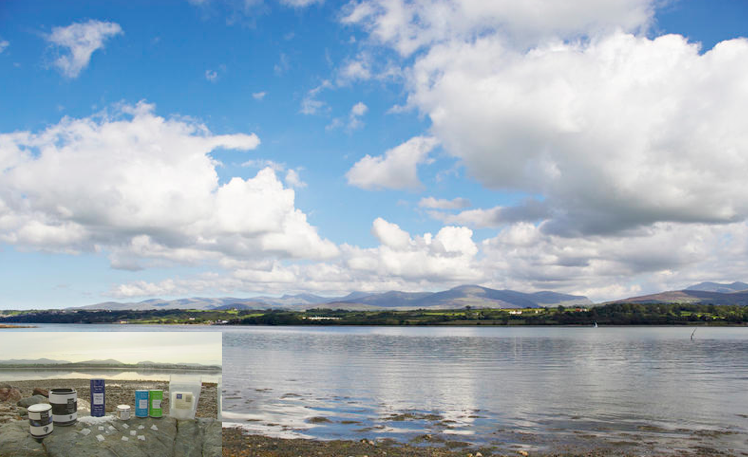 A much contested proposal is that Anglesey, adjacent to Bangor, should be developed as an Energy Island. In a last throw of the dice for the thermo-industrial economy, Horizon Nuclear Power, which is part owned by the French EDF, wants to build “two or three” nuclear reactors on the island. Anglesey was the breadbasket of Wales not so long ago, and is surely needed to serve that function again. 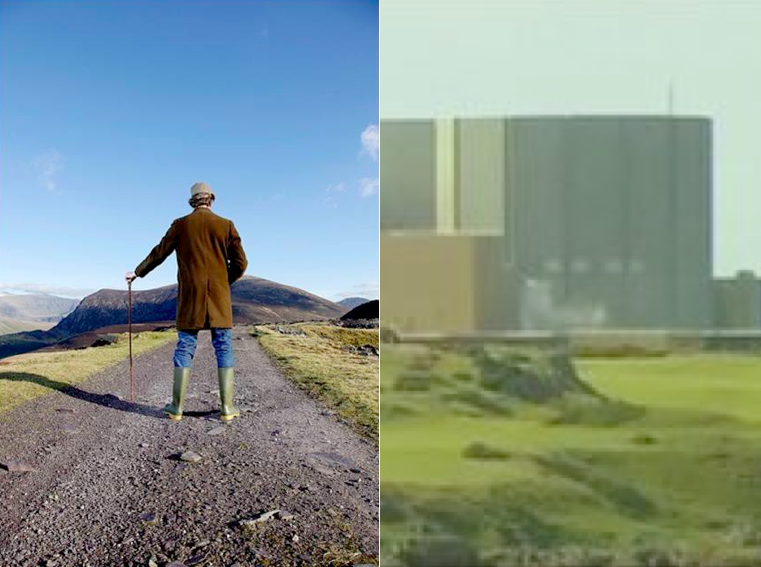 The proposition that a 3.3GW nuclear plant might be included in a “mix” with food growing is not well aligned, to put it mildly, with a resilient economy. Anglesey’s nukes are unlikely, on balance, to be built. Capital costs determine their economic viability and capital is in – well, let’s call it short supply. They nonetheless remain a looming elephant in the region’s room. (Curiously, the only discussions that crop up during my visit concern what to do about roosting bats displaced by site clearance – and the decision to build a third bridge off the island for people to escape if a nuke blows.). Sitting between the Big of the nukes and the Small of the rest is Bangor University and its £37 million arts and innovation centre, Pontio. The stated purpose of this ambitious new building, which is due to open in 2013, is to be a bridge (its name in Welsh) that will “promote learning and research, create jobs and wealth, foster world-class innovation, drive economic growth and regeneration, and support the local community and Welsh culture”. The format was simple: flying visits to local projects that are the seedlings of an emerging new economy, followed by multi-disciplinary workshops to explore what might be done to help them flourish. Dr Adam Charlton, a researcher at the Biocomposites Centre in the Welsh Institute for Natural Resources, described to me a plausible and enticing future bio-economy. 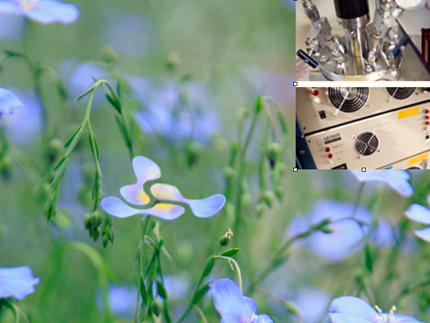 A network of grassland micro-refineries would transform biomass into a range of fuels and materials. These would replace industrial chemicals traditionally produced from oil – from agrochemicals, biofuels, and water treatment, to lubricants, adhesives, coatings, waxes, biopolymers, packaging, essential oils, cosmetics, personal care products, nutraceuticals – the possibilities seemed endless. These product lines could be worth £500m to the Welsh economy. A new demonstration programme called Beacon is the next step in Wales’ ambitions to be a centre for bio-refining. Geneticists, microbiologists and agriculture experts are collaborating to build a medium-sized bio-refinery with the capacity to produce on the thousand-litre scale. It will turn locally grown crops such as rye grass, miscanthus, oats and artichokes into the fuels, plastic composites, pharmaceuticals and other commercial products that Charlton told me about. The promise of a bioeconomy is real enough – but so are the dangers. In other parts of the world, vast tracts of rainforest are being cleared to make way for biofuel producing crops – some of which function as aggressive invasive species. Controversy also surrounds the displacement of crops for food by crops for fuel. A third concern: whenever you gather a lot of biomass at a central location, one output will be large amounts of nutrients and biochemical oxygen demand that often degrade water quality. For Beacon’s funders, its task is to deliver 200 businesses – not to strengthen the ecological resilience of Wales. True, Beacon’s policy is to use plants that do not need to be cultivated on the best food-growing land. But in other countries land classified as “marginal” often turns out to be the home of rural populations living more lightly on the land than we do. A bio-economy that simply substitutes biofuels for fossil fuels is not a green one. The strongest demand for bio-products comes from the most resource-hungry sectors of the doomsday economy: aviation, the military, pharma. If compound economic growth remains unchallenged as the First Directive of Welsh development, it will be hard for Welsh bio-innovators to put the health of the soil ahead of pressure from powerful global markets. Hard – but not impossible. Finland, with a far bigger biomass resource than Wales, is exploring bio-economic solutions based on “different forms of earning logic” because ‘the market for small-scale is large”. Could Wales focus its nascent bio-economy on regional rather than global needs? To do so, it would need to embrace a new notion of economic progress that is restorative rather than extractive. And to achieve that, she would need to foster novel connections among companies from different industries that are not accustomed to working together. Good, because Innovation In A Small Nation was about just this latter kind of connectivity. Could a future bio-economy be consistent with the long-term health of Welsh soil – its ‘terroir’? I next meet a man who thinks about little else. Tom DeLuca, Professor of of Environmental Sciences at the university, tells me, unprompted, that he was “awake all night worrying about disturbing the soil”. (That’s him on the left above, together with a bunch of biomass). “The health of the soil is crucial to food security over the long term” DeLuca explains, “but we keep stripping nutrients from rural areas and feeding cities with them. Plants and soil are symbiotic, a single living system”. We should not treat them separately – but market pressures often force us to do just that. DeLuca’s immediate concern is the commissioning of a new rhizotron. This below-ground laboratory, set to be the only one of its kind in the UK, will enable scientists to study soils and plant roots in situ, and thereby advance our understanding of soil carbon dynamics and plant-soil interactions. DeLuca’s colleagues are also studying aspects of North Wales as an ecology of bioregions. An ongoing “catchment to coast” study, for example, enables soil science to collaborate with ocean science in a single context. The aim is to integrate the study of rivers, estuaries and coastal waters within a single functional and linked system, and to understand how nutrients and organic matter introduced into the sea from rivers can affect coastal water chemistry and productivity. The coast is not unexplored territory for Welsh innovators. A canny entrepeneur called David Lea-Wilson sells a million-plus tubes of Halen Mon ‘gourmet sea salt’ to upscale restaurants and one-percenters in 23 countries. Halen Mon salt sells for a nifty 22 times the price of supermarket salt – but Lea-Wilson does not apologise. “The price reflects what it costs to make” he says; “the salt crystals are harvested, rinsed, dried and packed entirely by hand”. Artisan sea salt making was a major activity in Britain once before. It was displaced in the nineteenth century by the industrial-scale processing of underground rock into what we now know as table salt. In recent times, as word spread that chemicals such as sodium ferrocyanide are added to make supermarket salt flow easily, the cheap product has had a bad press. Sea salt, promoted as the pure alternative, has not been without its own critics. Our team’s visit to Halen Mon coincided with media reports that questioned the health benefits of sea salt. Lea_Wilson has robust and persuasive answers to these latest questions. Besides, the challenge posed to our team of explorers concerned not salt, but water. Specifically, what use might be found for the 20 tonnes of distilled water that the company produces a day during its salt extraction process? An initial brainstorm threw up applications to do with steam irons, micro-brewing, and pisciculture. My own first thought, given Lea-Wilson’s celebrated talents as an entrepreneur, was that he should freeze the stuff and sell it in Greenland’s restaurants as organic ice. On further reflection, Halen Mon can clearly play a big role in the innovation of products based on the outputs of Adam Charlton’s biorefineries. Our next stop was the Celtic Round House at Cae Mabon, an enchanting eco-retreat located in a forest clearing by a rushing river not far from Bangor. Twenty five years ago, when Eric Maddern, an Australian storyteller (and, latterly, an honorary Chief Bard of the Order of Bards, Ovates and Druids) first moved into the valley, he built a thatched roundhouse of the kind the region’s ancestors lived in for three thousand years before the coming of the Romans. Twenty years on, the Cae Mabon clearing now contains seven elegant natural dwellings. 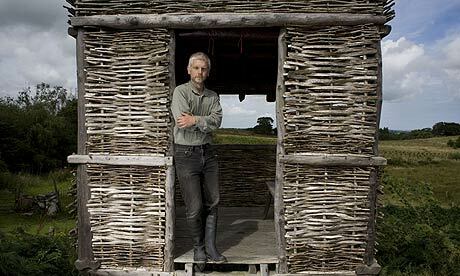 These include a strawbale Hogan, an oak and slate longhouse, and a cob cottage. The site, judged recently to be the number one natural building project in the UK, was described as a ‘Welsh Shangri-La hanging on a hillside overlooking the mountains of Snowdonia’. The built dwellings on their own are not yet the basis of a sustainable rural enteprise. Maddern needs to innovate new services and activities to make use of the buildings; (they can accommodate up to 30 people). He needs to market these to new groups of people; take bookings and enable transactions; and coordinate all the activities – from food, to parking – that use of the site by a group entails. And he needs to do all this without compromising the unique spirit of the place. Cae Mabon is a tiny business that has received no EU or government grants in 25 years. For its future sustainability, a long-term solution needs to be found. Sites such as Cae Mabon are like the region’s antibodies. They play a literally vital role in healing the crippling disconnection within Western culture between body, soul, spirit, and place. Our next stop is Moel Y Ci, an old Welsh hill farm that is now constituted as a social enterprise with 700 community shareholders. This ownership model enables local people to share responsibility for a shared heritage of natural, social and cultural resources. On-site activities range from large-scale composting for the local authority, and training in such field skills as coppicing and hurdle-making, to a market garden complete with sizeable polytunnels and to 50 allotment gardens. One field has been turned over for intercropping of soft fruits and wildflowers. Another field is the home to rare fungi, discovered by a volunteer; Moelyci turns out to be one of the most important wax cap sites in Europe. 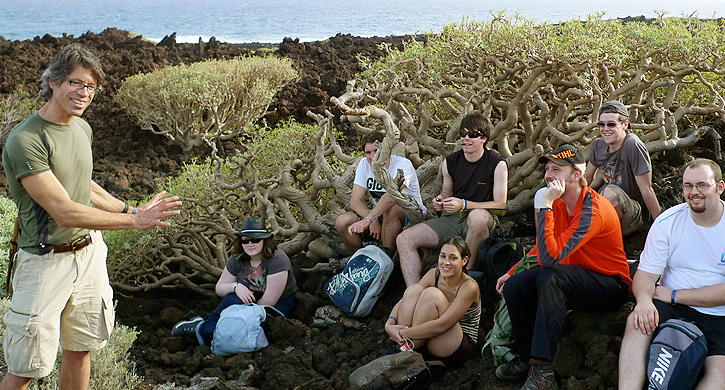 There is also a resident ecologist because the land includes a Site of Special Scientific Interest. Moelyci is bustling, even in late November. The centre’s two founders and (unpaid) directors, Della and John Fazey, make a convincing case that the farm can be a high value learning resource. Local people learn conservation skills and environmental management, food production, horticulture, tree surgery and so on – all on the job. Perhaps as valuable: They reconnect with nature as they do so. Moelyci receives no steady long-term funding. Ten years on, the Fazeys still spend a huge amount of time writing grant applications, to a bewildering array of potential funders, to keep things going. For researchers in the university, writing grant applications is second nature – and professors usually get grad students to churn out the mountains of paperwork that keep a department’s research funds flowing. Moelyci’s most pressing need as an alternative to endless grind of grant writing. On our way back to Bangor we visit another stunning building, Hendre Hall which was built as a model farm in the nineteenth century. The model of agriculture Hendre was built to embody has disappeared from most of the UK – but less so in Wales. Anglesey was the breadbasket of Wales just a couple of generations ago and can be so again.The physical conditions exist for the region to rediscover the best of pre-industrial agriculture; innovate new services to make it viable; and also innovate a mosaic of new-generation rural enterprises. 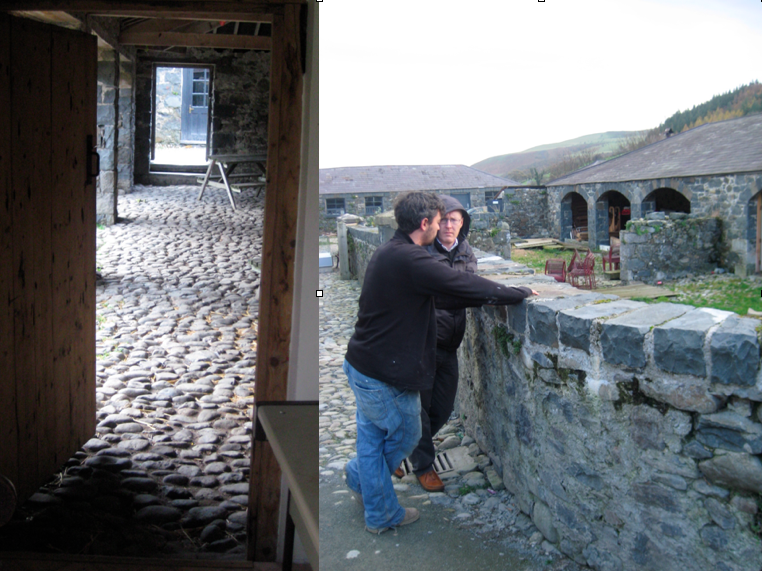 A network of rural hubs coud play a key role in such a transformation – and Hendre Hall would make a brilliant one of those. The question is: How? After these flying visits, we return to the university to discuss what these disparate assets might mean for Innovation In A Small Nation – and what role Pontio might play in the emergence of a restorative new economy. 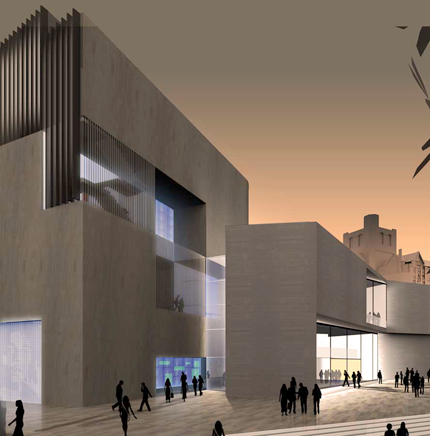 Pontio is a a wee bit over-specified for a rural enterprise hub – but, tant pis, the building will happen. The opportunity now is to develop an engaging script around which a multitude of potential actors and crew can coalesce. North Wales is blessed with a multitude of promising actors – from local energy projects to permaculture networks and courses. The region’s assets also include established centres with their own networks such as the nearby Centre for Alternative Technology which is world famous in its own right as a centre for environmental inspiration and courses. There also exist new models in Wales of rural enterprise centres that draw on old roots but operate in a modern and networked way. My favourite example is the Myddfai Trading Company in South Wales. 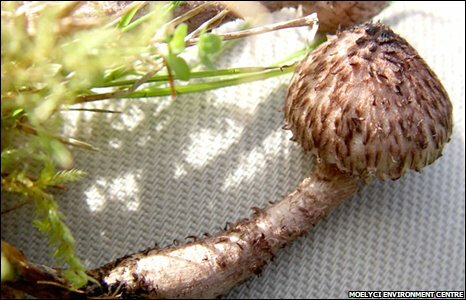 The narrative is is inspired by the Physicians of Myddfai who were herbalists in the twelfth century. Now, some time later, a £450,000 BIG Lottery Fund grant has enabled the village to set up a social enterprise that is nurturing a variety of new start-up businesses. In filmic terms, the original Pontio ‘treatment’ – which persuaded its investors to shell out 37 million pounds for the building – revolves around an idea of innovation dominated by technology and the promise of compound economic growth. This original script cannot be scrapped, but it can surely be improved. Scripts alway evolve. Its next iteration needs to focus on the emerging restorative economy whose vitality is based on social-technical innovation at the service of the ‘net present assets’ of the region. A shift in emphasis along these lines might not be that hard an ask. For example, the co-sponsor with Pontio of Innovation In A Small Nation was the university’s Centre for Advanced Software Technology and its EU programme Inventorium. You might think, as I did at first, that a digital centre of excellence would be an unlikely bedfellow for permaculture farming or druidic retreats. In the event, the Inventorium team ventured outside its natural comfort zone with positive energy and good humour. Additonally, although Wales is famous for its language, there seems to be little patience with talking shops. An important department within Pontio will be Enterprise By Design. Dr Andy Goodman, one of the originators of programme, tells me his group is determined to develop self-sustaining projects that connect the university with small companies and communities externally – and end up as a viable business. Goodman and his colleagues have developed and tested a project model that works; the next phase is to choose partners to work with – and that remains, healthily, an open book. With this kind start-an-enterprise engine under its hood, Pontio is well-paced to connect disparate companies and communities, support their meetings, and host their conversations. This connecting can be the most important kind of innovation that Pontio does. When I set out on foot to catch a 6am train, Bangor’s railway station and surrounding area have been plunged into darkness by a power cut. If this is a peak-oil practice drill, Bangor comes out well. A solitary guard used the flashlight on his mobile phone to iliuminate the platform, and the atmosphere among the dozen or so of my shadowy fellow passengers was rather cheerful. Who needs blazing artificial light when you have that kind of spirit? Teg yw edrych tuag adref.